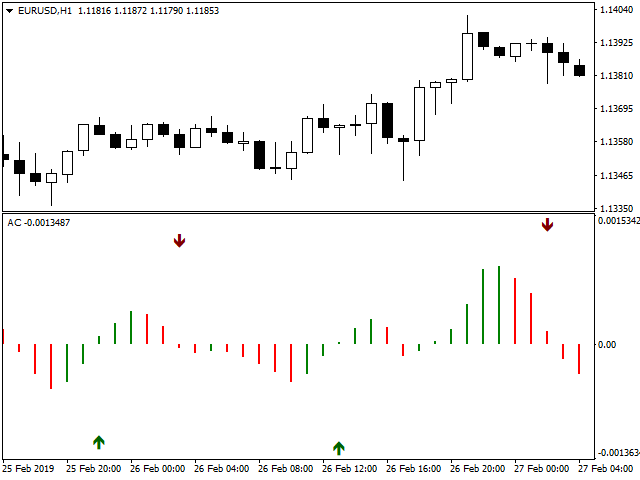 Signals and Alerts for Accelerator/Decelerator indicator based on these MQL5 posts: Accelerator Oscillator and Signals of the Indicator Accelerator Oscillator. 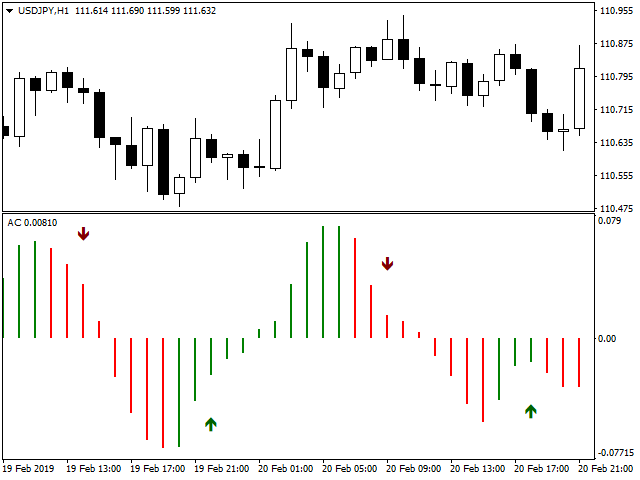 Note: this tool is based on the code of Accelerator indicator developed by MetaQuotes Software Corp. Compatible with any other tool (indicator, EA or script) without slowing down the terminal performance and the trading operations. Arrow Relative Distance - set arrows' distance. Buy/Sell Arrow Code - arrow code from Wingdings font or predefined arrow constant. Enable dialog box - if 'true' enables pop-up alerts. Send email - if 'true' an email message will be sent. Push notification - if 'true' a push notification will be sent to mobile terminals. Play sound - if 'true' a sound will be played. Sound file - selects the sound that will be used by the sound alert. In case you find any issue related to the program functioning, do not hesitate to submit a report here. Notice that we cannot help you with problems related to your purchases. For these kinds of issues, you must contact MQL5 service desk. 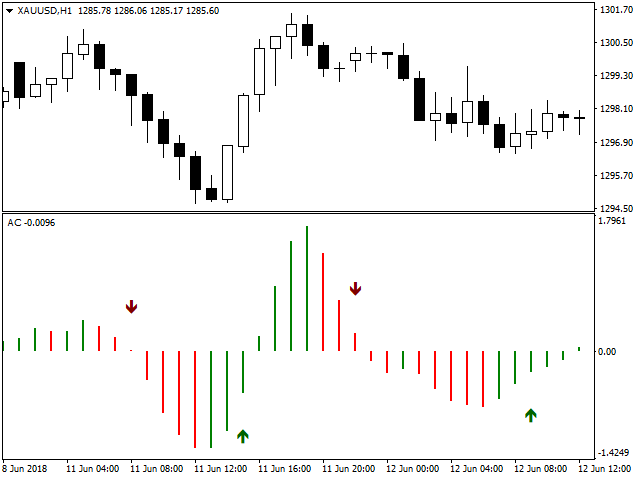 Find here more indicators with 'Alerts serie' denomination. 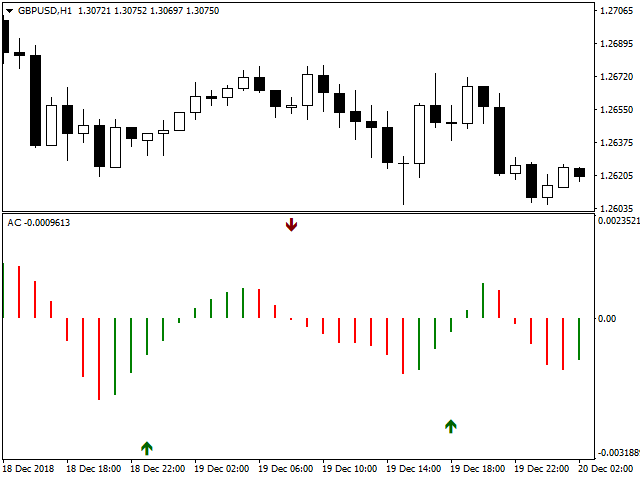 We'll keep launching new indicators for both MT4 & MT5 with alert features implemented at a low cost. Feel free to ask for any specific indicator that you want to improve with alert features sending us an email to support.team@barmenteros.com with the subject "Request for alerts serie indicator". But don't forget firstly to check if your requirements are not already fulfilled in one of the released indicators. We are a team of coders/traders that provide professional programming services for the trading world, mostly —but not only— for MetaTrader platform. Our team has several years of trading the FOREX market and coding MetaTrader tools. We have developed Scripts, Indicators and Expert Advisors for many clients around the world and for our own use.